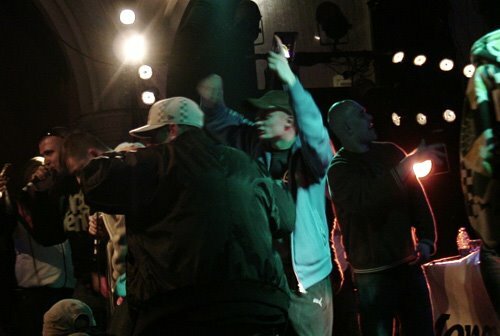 >Polish Hip Hop in Cardiff? From Anonymous protestors laying siege to the Scientology Church in London to Polish Hip Hop in Cardiff, all in one day. 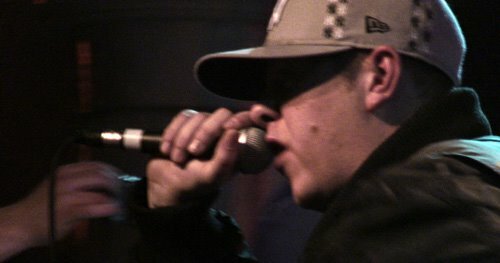 Sunday night, 10 February 2008, saw Zip Sklad and WWO play in Cardiff, Wales. I was there for the evening to film a report for Associated Press Televison News (APTN) on the rise of Polish Hip Hop and its emergence into the UK music scene, a direct creative explosion from the migration of two million Poles, mostly young people, into the country. Stills (c) Jason N. Parkinson.